There are 4 campsites all named after local trees : Derwen (Oak), Onnen (Ash), Collen (Hazel), Bedwen Arian (Silver Birch). Click here to see pictures of the campsites. 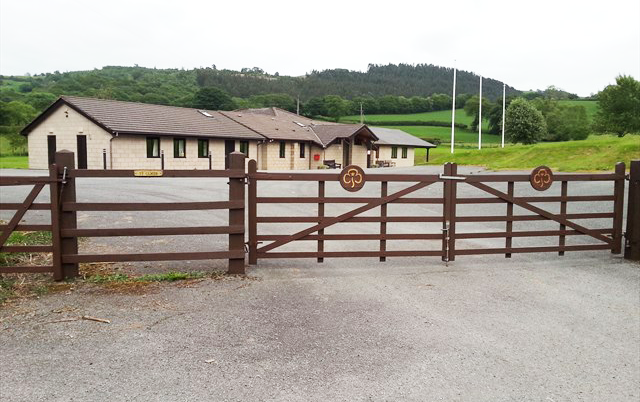 Site 1 – Derwen, takes up to 40 campers. Site 2 – Onnen, takes up to 24 campers. It’s on a slight slope and has a small marshy area at the bottom of the site. A route must be kept clear for access to the campfire circle and the stile to the woods. Site 3 – Collen. This site is flat and large enough to accommodate Division camps. 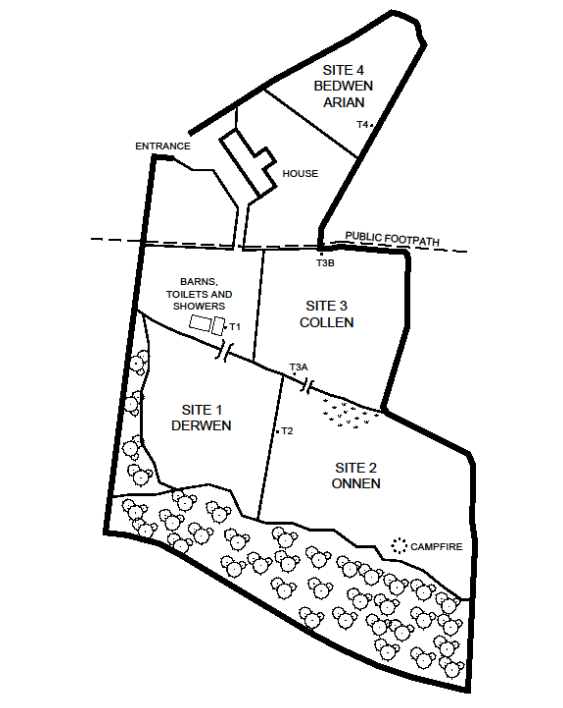 Site 4 – Bedwen Arian, up to 30 campers. These sites share a toilet block containing 8 flush toilets, 8 wash hand basins and 4 token-operated electric showers. Tokens may be purchased on arrival. This building can be separated into 2 sections and also has disabled access. Groups may bring their own wash tents. Night lats must be used after 10.00 pm if necessary. Only GREEN chemical (obtained on site) is to be used. In general, campsites are available only from April through to October. There is large barn available for emergency dry shelter which is to be shared by all sites. There is a fridge-freezer, a chest-freezer and a stainless steel workbench in the barn which are to be shared by all sites. If cooking on wood, the altar fires provided must be used on all camp sites. Wood is available from the wood pile near the barn (only kindling is to be collected from the woods). Stoves must not be used in the buildings. Fire safety regulations must be followed at all times and buckets of water must be kept by each open fire. Buckets are available in the barn. 3 Marquees are available for hire but these must be taken down and either hung up to dry, if wet, or replaced, if dry, in their appropriate bags.